During your classes or while listening to your tapes, you learned multiple ways to relax and manage discomfort during birth. It’s hard to mimic labor, but your aches and pains during the last weeks of pregnancy provide an opportunity to practice those techniques. They’ll be familiar and handy when you need them. Even if you plan to use medication during childbirth, practicing and applying the skills you learned in classes can make you comfortable before you get medical help or medication. Write down important contact numbers, like your midwife, doula and hospital. Post a copy of the information by your phone and one in your purse and give another to your partner. Choose the best route and an alternate route to your birthing center or hospital. Pack a bag for yourself, one for your baby and one for your partner. Put together a list of phone numbers and names you’ll want to call once labor begins and when the baby arrives. Install the baby’s car seat. Giving birth at home: You’re one step ahead! You’re here. Once you suspect you’re in early labor, give your midwife a call. You’ll probably keep in touch via the phone or e-mail until you decide that it’s best for the midwife to be in the home. While you’re waiting, take a look at your list and make your last minute preparations, like candles or aroma therapy. You’ll already have chosen your birth place and maybe set up a birthing pool. This is a good time to fill it. Having your baby at birthing center: You and your midwife (or doctor) have decided it’s time for you come in to the birthing center. Probably your contractions are steady and about five minutes apart, if this is your first baby. Grab your birth bag and head on over. • Your midwife or an RN from your birthing class will meet you and get you checked. • Your blood pressure, your baby’s heart rate and position to be monitored. • If your birthing plan includes exams, your midwife might check you and see how your labor is progressing. • Your team will encourage you to walk, get in the tub or sit on birthing ball. Delivering at a hospital: Your contractions are closer together and it’s time for you to make the drive to the hospital. Grab your birthing bag, your partner and get ready to meet your new baby! • You’ll check in. You probably registered earlier, so all your information is there and waiting for you. • In triage, your blood pressure and pulse will be taken. Your baby’s well being will be checked on, usually by listening to the heartbeat with a doppler or through electronic monitoring. • Probably, you’ll be checked to see how your cervix has changed. You might have a private room with baths where you can labor, deliver, and recover in one place without having to be moved. You hospital might not have this option. If your birth isn’t low-risk, you’ll probably move from a labor room to a delivery room and after birth to a private or semi-private room. Now that you know what to expect during early labor, don’t you feel better? Next, take a look at the stages of labor so you’ll be ready for the whole birthing process. 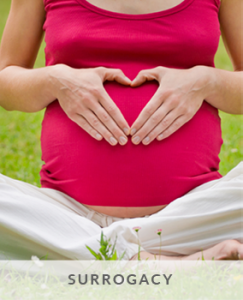 Read more here on Preparing for Your Labor and Delivery for Surrogates and Intended Mothers. In wake of the recent media attention on social surrogacy, I felt it was important to add to the conversation and not just sensationalize or try to create a story where one does not exist. 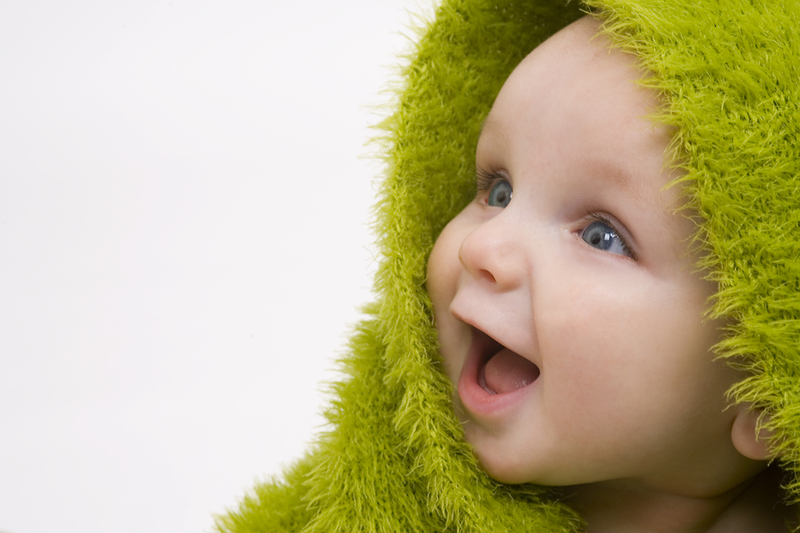 As an agency, the number of women who have come through our doors wanting to pursue social surrogacy solely for vanity reasons is far and few between but, that does not mean that this type of surrogacy does not exist or isn’t growing. However, the motives behind why some women say they want to work with a surrogate rather than carry their baby themselves – aside from medical or purely narcissistic reasons – vary greatly. For example, some women are in the prime of their careers, they have spent countless hours dedicated to their education and profession and do not want to lose out on that upcoming promotion or project that will take them to the top. Some are Hollywood actresses or models who have spent their entire lives pursuing their dream, and losing their shapes or disappearing from the public eye, even for a few months, could possibly mean losing everything they have worked for. Some women actually have a fear of carrying a child, a fear so intense that Psychologists have a name for it: Tokophobia. For others, they may have met their significant other later in life or post-poned giving birth because they spent time furthering their education or sacrificing their personal lives to climb the corporate ladder. In these instances, the chances of miscarriage or genetic and/or physical abnormalities is significantly higher than if they had given birth earlier. There are also other women who had traumatic pregnancies, and being pregnant again is just not an option, although physically, they are fine. For these women, social surrogacy is a viable alternative – they want to be mothers; however they do not believe that pregnancy is right for them. Choosing this option is not an easy decision and there is no correlation between choosing this path and the type of mother one will be. It is disturbing that so many are placing judgment and labels on these women, when all they are trying to do is create a family. Now more than ever, women are looking to have it all. Who can blame us? We have watched our male counterparts sail pass the glass ceiling, be offered prominent job positions, all the while having children at 60 years old without being called selfish or looked down upon. Unfortunately for women nature only allows us a certain timeframe to make it work in order to have it all. If we don’t, we lose out. That’s it, no more chances. Luckily, science and technology are now affording women the opportunity and means to create their own genetically related family on their own terms and timeline. Elective procedures such as egg freezing and surrogacy are giving women freedom and more options. From working in this industry, one thing I have learned is that the love a mother and child share goes beyond the bond created in the womb. This is evidenced not only by step-children, foster children and adopted children but also by children born via surrogacy. I think it is fair to say that these parents do not love their children any less than genetically related parents love their children. I do not buy the idea that giving birth to a child makes the love between the birth mother and child any stronger or more valid than the love shared between a child and the genetic albeit non-birth mother. Social surrogacy is not for everyone. And just because social surrogacy is a possibility, it does not mean every woman will go down this path and not to want to carry her own child. It also does not mean that the mother who chooses this path, is a selfish, egotistical or vain woman. It is simply an option, and for some women this option will help their dreams of motherhood and “having it all” become reality. One of the biggest worries when getting pregnant is that the body will never return to it’s previous state. This type of thinking is only natural since clearly the woman’s abdomen stretches out to lengths she never thought possible, food cravings become a new force of nature, and exercising seems unrealistic when waddling is the only way you can get around. Luckily there are things you can do prenatal and postnatal to get your body back to how it was before if not even better! This article focuses it’s attention on flattening the abdominals and getting rid of the pooch that hangs around due to diastasis recti. Approaches include specific abdominal exercises, wearing a corset, and focusing on a specific diet. Read more here on pregnancy, postnatal pooch for Surrogates and Intended Mothers alike. But for many, the jury is still out…as there are complications that arise when ordering bed rest, such as backaches, hip and muscle pain, headaches, muscle loss, and depression. Your best bet is to speak to your doctor to determine what is best for you and the baby that you are carrying. Do you, as an Intended Mother or Surrogate, feel that this applies to you? Read more here. Aside from the many nutrients that are present in breast milk, an important benefit to breast feeding is the promotion of attachment and bonding between the mother and infant. However, many mothers of babies conceived through surrogacy, who are unable to naturally produce breast milk as a result of a pregnancy, are left feeling like that is a part of motherhood that they do not get to experience. This is not actually the case. Women who were not pregnant can produce breast milk through induced lactation. Keep in mind, this is a complex and demanding process to go through, but for some mothers it may be well worth it. Typically, the process of induced lactation will involve several months of taking hormone supplements to mimic the biological processes of pregnancy, and then using a breast pump several times a day to promote lactation. This process can take several months of preparation, and should be started while the surrogate is pregnant, so that the milk has already come in before the delivery of the baby. In some cases, the process of induced lactation can be sped up, but if possible the best method is to start early in the pregnancy. Since this process is induced and is not occurring as a natural response to pregnancy, it may not be possible to act as the sole source of nutrition for the baby, as lactation will likely be less than it is during a pregnancy. So it is important to begin building a supply, via pumping, shortly before the delivery, and continue pumping after each session of breast feeding. It may also be necessary to supplement their diet with formula. Ultimately, the goal is to have that bonding through breast feeding, so it is not about the quantity of breast milk, but rather, it’s about the quality of that time and interaction that is key. If you are unable to breast feed or don’t feel comfortable with induced lactation there are also assistive devices that can be used to feed the baby at the breast. Before starting anything, make sure you consult your/ baby’s doctor or a lactation consultant to see what method best suits you. How often do you fell stressed? In our society it is extremely common to hear people complaining about stress. It seems that if you are not stressed, you must be lazy or not accomplishing enough. If you really think about stress and dissect it, it is simply fear. Fear that we won’t make the deadline, fear we will do something wrong, fear we don’t have enough money, and fear we will fail. The good thing about stress is it ignites our fight or flight response to save us from potential harm. The bad thing about stress is that it lowers our body’s natural defense mechanism. If we are stressed all the time, our body is susceptible to cancer, disease, and other toxins. Fortunately there is a multitude of ways to help ease your fears and therefore reducing stress. One way is to retrain your brain to react in a new way and to stay present in the moment instead of worrying about an imagined future or a remembered past. Read this article to learn more and find out ways to combat stress, especially since stress can also affect our fertility, whether an Intended Mother or a Surrogate. Conceptual Options Surrogacy Agency Health News: My BMI is Too High! Are you struggling to decrease your BMI? Perhaps you’re approaching weight loss all wrong. Quite often people think that a low calorie and a low fat diet will help them to lose weight, this approach is all wrong. Fat does not make you fat. Don’t be afraid of fat, it keeps you full and tastes delicious! What is actually making you fat is too many carbs. Yes, your body does need carbs however when eaten in excess can cause weight gain and hunger which leads to eating more which leads to weight gain; it’s a vicious cycle. This article breaks down the science behind why excess carbs make you fat and the best approach to losing weight. After reading this article you will be armed with the information that will help you stick with a proper diet instead of just blindly following the advice of others without the facts. 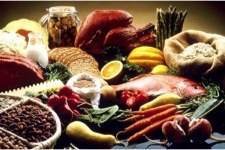 Read more about your BMI and Carbs here. When you’re pregnant, you are already a few degrees hotter than normal. Add to that the sweltering summer heat in California and you’ve got yourself one Hot Surrogate Mama (literally)! Here are some tips on how to beat the heat this summer. 1) Stay hydrated: Whether it be water or electrolytes, make sure you are keeping yourself hydrated on hot days. When it’s hot, you will be sweating more, so electrolytes and water will replenish the fluids you lose when you sweat. 2) Dress appropriately: In the summer time you want to avoid synthetic fabrics that hold in sweat. Wear light breathable materials instead. Also make sure your clothing is loose fitting. Wearing tight clothing can trap the sweat against your body and cause you to get a rash. Also wear light colors that reflect the light rather than absorbing it. 3) Take a shower or take a dip: A cool shower or a dip in the pool may help to bring down your body temperature on hot days. Going into the pool can also give the added benefit of taking pressure off of your back and allowing you to do light exercise. 4) Stay indoors in the middle of the day: The heat tends to be the highest in midday. So if possible, limit your outdoor activities to the early morning and evening. 5) Cold air and cold water are your friends: When it is really hot outside, stay at home. Turn on the A/C if you have one. If you don’t turn on a fan and close the shades to cool down your home. If you are going out, take a spray bottle with you to spray yourself down when it gets hot. It’s a good way to keep the kids cool as well. 6) Ice, Ice, Baby: Get creative with some refreshing frozen drinks like smoothies and slushies. Not only will it keep you hydrated, but it will help you stay cool and satisfy your taste buds! 7) Kick up your heels: Swelling can get worse in the summer time so make sure you take breaks and elevate your feet to keep the swelling down. 8) Take it easy: Pregnancy can create its own level of exhaustion, and the heat can only make it worse. So don’t over exert yourself on hot days. Relax, you deserve it! For more tips on how to keep cool this summer for all pregnant women, surrogates as well, click here.